It's been eight months since Futuremark, the developer best known for its benchmarking software, surprisingly announced its intention to get into the games development industry following the formation of Futuremark Games Studio. At the time, the developer said it planned to start releasing games very soon, but things went quiet soon after and we heard very little from the wannabe game developer from then on. That wasn't to say Futuremark wasn't working away quietly in the background though – it was merely keeping its cards close to its chest until this year's Games Convention in Leipzig, where it officially announced Shattered Horizon. At the end of a busy GC, the demo team crossed the Atlantic to show off the work-in-progress title at Nvision. These miners are in a tough spot though, using a risky new technique known as Incite Mining while the companies are reaping huge profits from the project. That is, until their greed gets the better of them and overexploitation causes the largest mining accident in history. A massive explosion causes a large part of the Moon to separate, dangerously throwing billions of tonnes of debris into near-Earth space and the risk is that aftershocks could cause the Moon to break up and head towards Earth. What's more fragments of the Moon, which become known as the Arc because of the shape their path draws in the night sky, enter Earth's orbit. These new foreign objects in the sky complicate matters further and essentially mean that there's no chance of a rescue mission being launched from Earth. However, there is still hope. A group of astronauts and scientists from the International Space Agency are now stranded off-world in the now-battered International Space Station and are given the task of apprehending those responsible for the disaster. Conveniently weapons and ammunition were a part of the last supply shipment sent to the ISS before the Arc cut off the supply route between Earth and the station. You can see where this is going already, I bet. The company responsible for the catastrophe realises that it is about to face serious charges after only barely surviving the explosion, and despite the fragile state of the Moon, it decides to continue mining – which just serves to accelerate the problem. Greed has well and truly got the better of them and they see the only way out of the situation is to become independent and self-sufficient because of the threat to their existence posed by the International Space Agency. 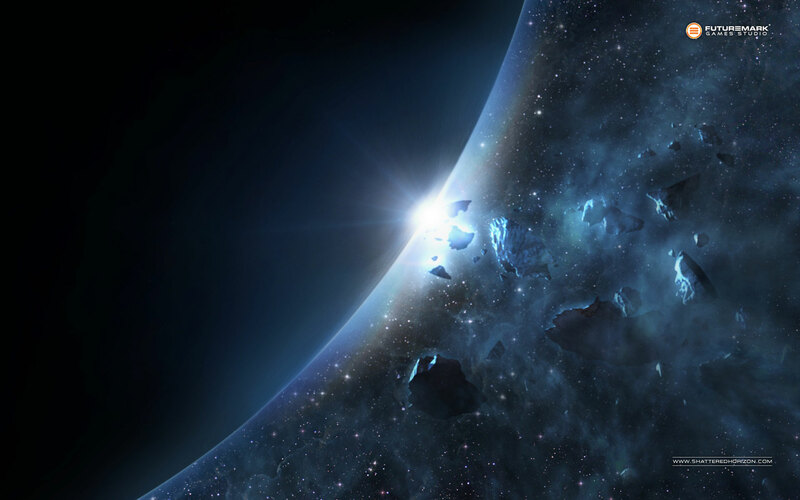 The two sides are drawn into a life or death conflict in the cold savannah that is outer space. Desperate battles are fought over strategic locations and what remains of the supplies from Earth that manage to get through the sea of rocky debris. Futuremark has finally dated the release of low-gravity shooter Shattered Horizon, as well as confirmed DLC for the title. 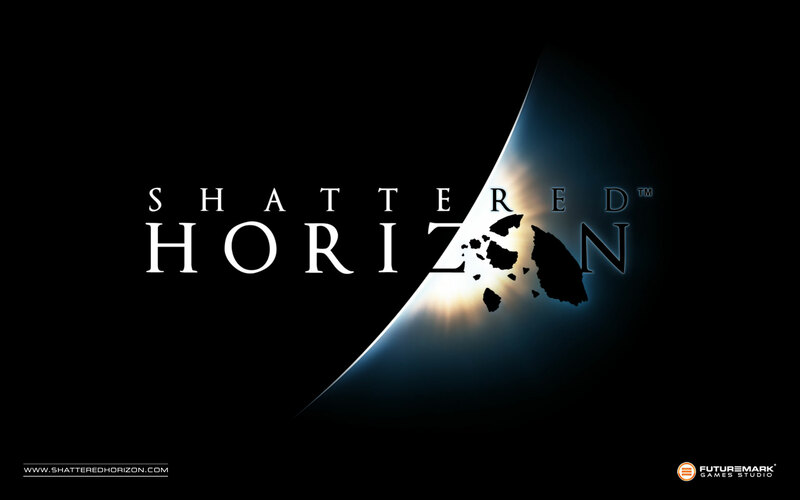 We go for a float in zero gravity with Futuremark's first outing as a game developer, Shattered Horizon. How does this space-based multiplayer shooter hold up to our scrutiny and how likely is it that we'll vomit from motion sickness? There's only one way to find out!